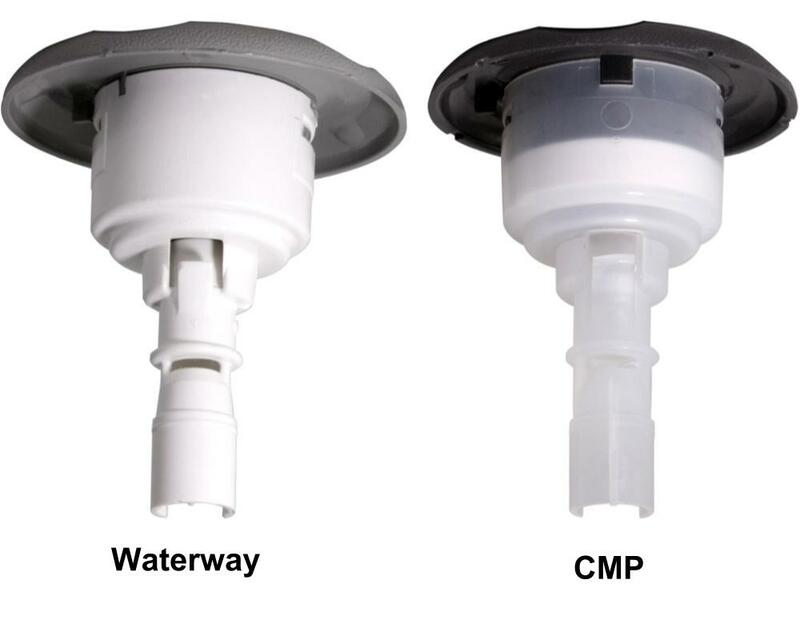 Same dimensions, similar looks and similar colours: it is very easy for the customer to confuse the Waterway and CMP clip-on jets, which are however not compatible with each other. If the original jet of your spa to be replaced is a Waterway, its replacement must be of the same make. The same applies if your spa's original jet is a CMP, its replacement must be a CMP. Depending on the date of manufacture of your spa or the colour of certain elements, tubs.fr explains how to choose the right brand to replace your jet. If you buy your hot tub before 2010, its manufacturer will have installed Waterway jets, so you should turn to this brand's jets. If you buy your hot tub after 2010, check the references on your jet. If a "218-4***" type reference appears, it is a Waterway jet. If you can't see any reference, it is certainly a CMP nozzle. Note that if no reference is legible (due to wear or friction), an opaque white rear jet element will correspond to a Waterway jet, a transparent white rear jet element will correspond to a CMP jet.